Waiting for the Easter bunny to arrive? So are we! In Sweden Easter is called Påsk, Iceland calls it Páska and in Norwegian and Danish Påske. In Finland Easter is named Pääsiäinen. For adults Easter means celebrating with family and friend. A buffet-style smorgasbord or påskbuffé (paskbuffe) is often served in the Scandinavian countries, which contains the traditional dishes like herring, salmon, meatballs, boiled potatoes and filled eggs. In addition to those dishes, many eat lamb in various forms. For kids Easter means they will receive their Easter eggs, which in Scandinavia normally is a colourful, egg shaped box, filled with your favourite candy and in some cases smaller gifts. To help you celebrate Easter the Scandinavian way we are fully stocked on most Candy, Chocolate, Cod Roe Crème etc, but unfortunately running low on Mustard and Onion Flavoured Herring. We are hoping to get some more in at mid-late March – but get in quick to make sure you don’t miss out if those are your favourites. 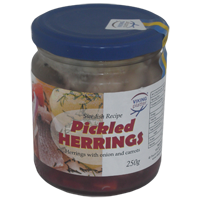 We still have plenty of Dill, Pickled, Anchovy, and Matjes flavoured herrings. We have opened our Easter shop and this year we have even more lovely Easter Eggs gift boxes in stock- Comes in 2 sizes - 12 or 15 cm. To help you fill these with goodies we have taken 10% of selected chocolate lolly bags. 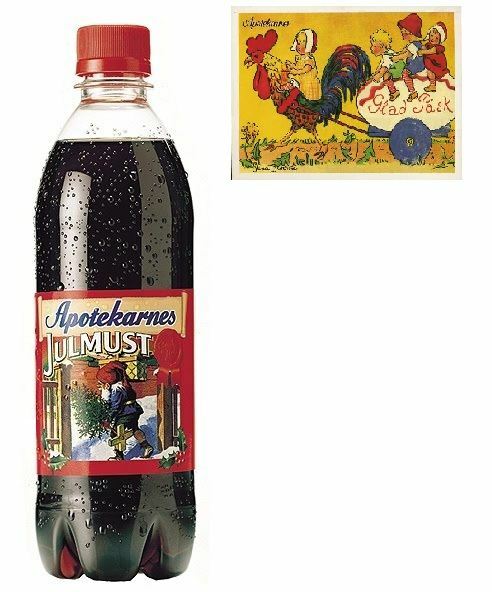 We are cheating a bit – we knew we weren’t going to be able to get Påskmust for Easter so we got some extra Julmust for Christmas :-) Comes with a sticker to cover up Santa and make the bottle feel more at home on the Easter Dinner table. Please note the Jul(Påsk)must have a BBF date of 27 Feb 2012, but we have stored them cold and dark and tested some and the taste is perfect! When asking the producers about the short date they confirm it is fine to drink after the BBF date, it’s just that they will not guarantee the flavour for longer than 6 months after production. We did some research and it has become popular in Sweden to store your julmust for a year and serve it as vintage julmust – some even claims it tastes better! At the end of 2011 Teddykompaniet produced a limited edition of Diinglisar in the shape of a Zebra and Ladybug. We are happy to offer the Cuddle blanket and the musical diinglisar from this limited edition range. They are absolutely gorgeous! Don’t miss out on Martinborough Fair the 1st Saturday of March (3rd March). It will be a fantastic day. And please do come and say hello. We have a stall on Texas street West. Selling Candy, Crisp bread, Jam, Gift Items and much more! We will also be in the Scandinavian Stall at the Cultural Market Day in Palmerston North on March 24th. 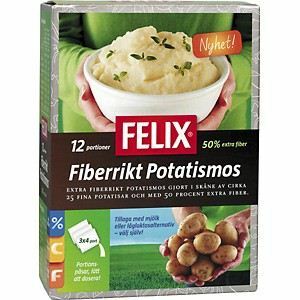 Felix instant potato mash is a Favourite on the Scandinavian dinner table. It’s not difficult to make your own Potato Mash, but it’s time consuming. Through their love of food, family and friends Felix® want to make it easier for all to enjoy delicious food in our everyday life. We now offer a potato mash from the Scanic parts of Sweden (Skåne) -Made with about 25 potatoes and extra fibre from potatoes. In this mash, Feilx have not added any milk powder and it gives you a low lactose and extra lean mash. The Fibre Potato mash good for those of us who want to eat healthy. With a green salad and meat of your choice you have a quick, filling and healthy dinner for any day of the week. The mash will be best made with milk and water. If you want a low lactose alternative swap the milk for low lactose milk or oat milk. To make extra lean mash mix with just water or low-fat milk.